As a stage mom, I often accompany my aspiring actress to the shows and movies she wants to see. And unlike attending a performance my child is in, I have to admit I am not always entertained. Striking the balance between being entertaining for kids without boring parents is an art. Hotel Transylvania 3 has hit the mark. I pre-screened the third installment of the animated film series while I was in New York City. As a part of the event, I got to interview Fran Drescher to boot. Here’s my review of why children and parents will enjoy the movie. At a time where the idea of inclusion is being challenged, Hotel Transylvania 3 does well to raise this theme. “The message to accept people who might be different from you,” is an idea Fran Drescher loves about the movie. Even though the characters are monsters, the message of acceptance is clear. Like many award-winning children’s shows, the use of monsters and other non-human species is an effective tool for Hotel Transylvania. Even better, in this film, the monsters interact with humans in a way that ends positively for everyone. Have you ever been to a children’s entertainment event and 5 minutes in you were bored to tears? The term “Dad Nap” didn’t come from all the times Dad fell asleep watching football. You won’t have that problem with Hotel Transylvania 3. The film’s writer, Michael McCullers, also wrote Austin Powers and it boasts an all-star cast of comedians from Adam Sandler to David Spade. The movie has enough context to keep adults engaged and entertain the kids without unnecessary innuendo. “It shouldn’t be torture for the parents,” Fran Drescher insisted. It wasn’t. There is a scene where Wayne and Wanda Werewolf (Steve Buscemi and Molly Shannon) drop their children off at the childcare room on the boat. Every parent on earth will relate to this moment in the film. A major theme of the movie is that Dracula falls for the cruise ship captain, Ericka. The idea of creating a love interest storyline could be troubling for some parents, but the movie pulls it off with no unnecessary innuendo. The idea that love and attraction are normal is well presented and the messages are age appropriate. Many times children’s entertainment can take it too far with messages and themes that are supposed to go over the children’s head to keep parents engaged. Hotel Transylvania 3 didn’t have to go that route and I was still entertained. 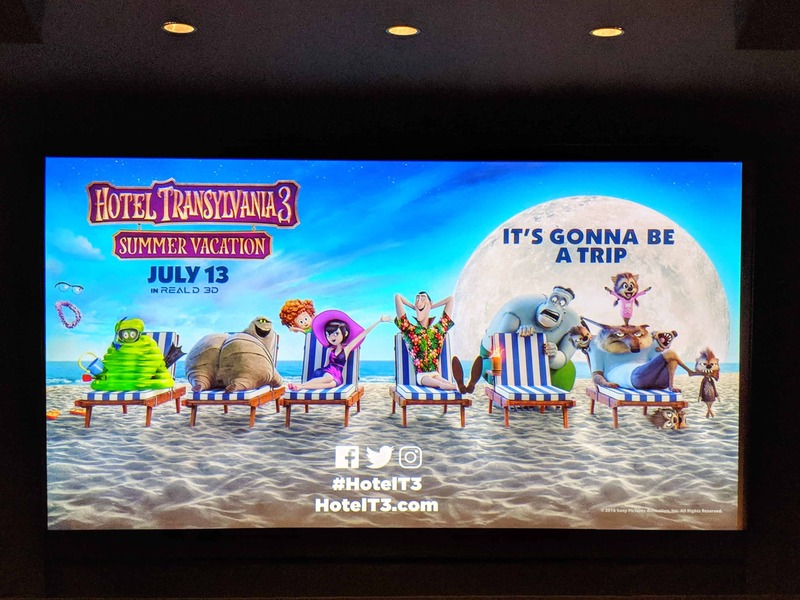 Will you be going to see Hotel Transylvania 3 with your family?